Welcome to the sixth installment of the Quick Fact blog series! These posts are meant to give you a bite-size overview of performances you’ll find in the 2014 Festival season. Each post in the series will include the who, what, when, where, and why. We’ll even throw in some images, videos, and staff recommendations to sweeten the deal. Enjoy! 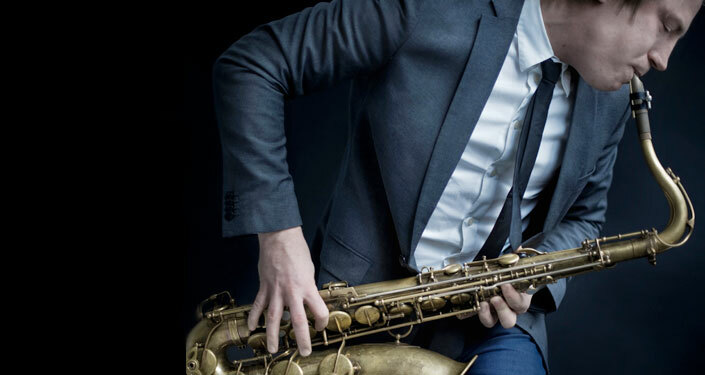 Technically innovative saxophone paired with an operatic tenor voice, all from the same performer—an unlikely combination leads to unprecedented musicianship and creativity. Few people answer their own curiosity with ingenuity like Kornstad’s. At age 32, he stepped outside his experience with the saxophone—where he was already pushing the envelope with unconventional technique and recorded loops—and entered the world of opera, eventually combining the two. When you have the chance to hear someone whose experience with music surpasses their peers, not only in talent, but in perception, you should take that chance. Towards the end of 2013, when programming decisions were being finalized for the 2014 season, I heard mention of an artist who was going to combine the saxophone and opera…and a loop. I immediately thought to myself, “now this is why I love Spoleto.” Where else can you sit in one theater for roughly one hour and experience such a unique combination of two very different art forms. After some additional research (which included watching his incredible TEDxTalk), I was sold. Håkon Kornstad is on my must-see list. Tickets to Håkon Kornstad and all other Festival performances are available online at spoletousa.org, over the phone at 843.579.3100, or through your mobile device. In-person sales open at the Charleston Visitor Center on Monday, March 17.